What Are Your Workplace Rights When Entering Rehab? Drug and alcohol rehab have helped millions of Americans successfully recover from addiction and greatly improve their quality of life. But if you’re employed and struggling with substance abuse, a decision to enter rehab can often be complicated by anxious concerns about job security and if/how you should tell your boss. The good news is you have certain workplace rights that can alleviate many of these worries— even with respect to talking with your employer about a decision to pursue rehab. How will seeking treatment impact my career? Do I qualify for medical leave? Can I get fired for taking a leave of absence? Can my company let me go after learning of my addiction? While there is no cookie-cutter answer to these questions as everyone’s job situation looks different, knowing your workplace rights can help you both answer the above questions and prepare for a conversation with your boss. A job-protected leave of absence from work – Alcoholism and other substance use disorders can qualify for a job-protected, unpaid leave of absence under the provisions of the Family and Medical Leave Act (FMLA). The FMLA requires that employers with 50 or more employees grant up to 12 weeks of family or medical unpaid leave to employees who have been in their employment for at least 12 months. Consult your employee manual and/or human resources department to verify that an FMLA leave of absence is an option available to you. Insurance coverage for treatment – If you work full-time, you should have a private insurance plan that covers treatment for alcoholism and other drug addictions (if not in full, then partially). Paid time off (PTO) – If you have been working for the same employer for a while, you have the right to use PTO in the service of time off for treatment. Depending on how much PTO you have accrued, you can get creative about how you use it to help you through rehab— for example, by scheduling detox and rehab over a long holiday weekend and using PTO to make up for the remainder of that time away from work. Alternatively, if an intensive outpatient program will suffice for your treatment needs, you may be able to spread out small chunks of PTO across several weeks instead of taking off a prolonged period of time. The right to control what you share with your employer – You are not required to tell your employer you’re going to rehab, although in some cases this may be the best course of action. If you do tell your employer that you need to go to rehab, it is within their right to ask for supporting medical documentation — but the release of any of that private health information will still require your signed consent. In other words, you have a right to limit what, if any, disclosures you make about your medical history. You also have a right to request confidentiality with any medical records you agree to share. Get organized ahead of time. Know what the dates of your leave of absence will be, and be prepared to propose a plan for how to cover your job duties while you’re away. Decide ahead of time whether to share that you’re going to rehab. If you do tell your boss, rehearse an honest but brief explanation. If you’re hoping to avoid mentioning that you’re going to rehab, you’ll still need a prepared response for any questions asked about why you need a leave of absence. Keep the conversation positive and focus on how taking the time off will help you become a better, more productive employee. Avoid gratuitously mentioning any negative details of your addiction. Nobody should have to forego rehab for an addiction that is ruining their life purely out of fear they’ll lose their job or be forever stigmatized. These tips can help anyone considering drug or alcohol treatment navigate the challenge of pursuing rehab while protecting their job. About the Author: Anna Ciulla is the Chief Clinical Officer at Beach House Center for Recovery. Anna has an extensive background in psychotherapy and clinical management, including more than 20 years of experience helping individuals and families affected by addiction and co-occurring disorders find recovery. Learn more about Beach House’s different rehab programs by visiting their website. Prescription drugs are a large and growing share of national income. While it is generally recognized that drugs are expensive, many people are unaware of how large a share of their income goes to paying for drugs because much of it goes through third party payers, specifically insurance companies and the government. The Centers for Medicare & Medicaid Services (CMS) produce projections of national expenditures on prescription drugs through 2025, along with historical estimates dating back to 1960. As shown below, prescription drug spending from 1960 to 1980 was equivalent to about one percent of total wage and salary income. In the years leading up to the passage of the Bayh-Dole act in 1980, wage income was rising faster than spending on prescription drugs. As a result, the share of wages spent on prescription drugs was actually falling, reaching a low in 1979 of 0.86%. However, after 1980, prescription drug spending rose rapidly relative to wage income. The ratio of drug spending to wages rose each year from 1980 to 2007. In 2007 wage growth finally outpaced drug expenditures, with the ratio again increasing in the Great Recession. By 2010, prescription drug spending had climbed above four percent of wage income. The three percent of annual wage income lost to higher drug spending over the past 40 years makes a big difference to working individuals and families. This increase in annual spending averages out to roughly $2,400 per household. CMS projections, combined with projections on wage income growth from the Congressional Budget Office, suggest that spending on prescription drugs will increase further through 2025. This ratio is expected to exceed five percent by 2024. While an aging population has been a factor increasing spending on drugs, demographics alone cannot explain the sharp increase in prescription drug spending. Inflation-adjusted prescription drug spending per household has increased more than eightfold since 1980, far outpacing any demographic trend surrounding age. The share of people over age 65 in the population has increased from 9.2% in 1960 to 14.8% in 2015. This can at most explain a small part of the increase in spending on drugs over this period. It is important to recognize that the high cost of drugs is the result of a conscious policy decision to give drug companies monopolies in the form of patents and other forms of exclusive marketing rights. Without these protections drugs would almost invariably be cheap, likely costing on average less than one fifth as much as they do now. Even worse, the perverse incentives resulting from patent monopolies distort the research process and can lead drug companies to misrepresent evidence on the safety and effectiveness of their drugs. This blog was originally published at CEPR on June 27, 2017. Reprinted with permission. 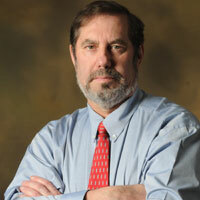 About the Authors: Dean Baker co-founded CEPR in 1999. His areas of research include housing and macroeconomics, intellectual property, Social Security, Medicare and European labor markets. He is the author of several books, including Rigged: How Globalization and the Rules of the Modern Economy Were Structured to Make the Rich Richer, Getting Back to Full Employment: A Better Bargain for Working People, The End of Loser Liberalism: Making Markets Progressive, The United States Since 1980, Social Security: The Phony Crisis (with Mark Weisbrot), and The Conservative Nanny State: How the Wealthy Use the Government to Stay Rich and Get Richer. 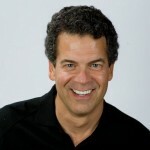 His blog, “Beat the Press,” provides commentary on economic reporting. He received his B.A. from Swarthmore College and his Ph.D. in Economics from the University of Michigan. Brian Dew holds a B.A. in Psychology and Organizational Sciences from the George Washington University and an M.A. in Economics from American University. His previous research has focused on international trade, network analysis, and open-economy macroeconomics, while his current research interests include domestic trade, employment, and monetary policies. Brian worked previously for the International Monetary Fund. Federal officials, under orders by President Donald Trump, have drafted a rule to roll back the Obama-era mandate that birth control be included under all employer insurance plans. The final shape of roll back is still uncertain: The White House Office of Management and Budget (OMB) website says that it is reviewing the “interim final rule” to relax the requirements on preventative services. The rule change is specifically aimed at accommodations for religious organizations, some of whom have strongly objected to requirements that they include birth control coverage under their insurance for employees. Typically, when an agency considers changing a rule?—?which can have immediate and sweeping policy impacts?—?they publish a preliminary version, solicit comments from the public, and incorporate the feedback into revisions before handing down the final change. If the OMB is reviewing the interim final rule, however, that means the rule has already been drafted by the relevant agencies and is in the last step before being published, according to the National Women’s Law Center. “We think whatever the rule is, it will allow an employer’s religious beliefs to keep birth control away from women. We are sure that some women will lose birth control coverage,” Gretchen Borchelt, the vice president of the National Women’s Law Center, told the New York Times. Under the current rules, implemented under President Obama, birth control coverage is considered part of preventative medical care and must be covered by all insurers with no co-pay. The mandate has guaranteed an estimated 55 million women access to birth control and other preventative services at no additional cost to them, regardless of their employer. In 2013, the mandate saved women $1.4 billion on birth control pills, and since the law went into effect, there has been a nearly 5 percent uptick in birth control subscriptions, according to the NWLC. The increased access to contraceptives has also correlated with a sharp drop in unintended pregnancy and abortion rates. These public health outcomes make it easy to see why the requirement has been widely lauded by women’s health advocates and providers. The law has been hotly contested, however, by religious organizations who object to having to include birth control in their insurance plans. Trump seized on their complaints while campaigning for the presidency, and in early May, fulfilled his pledges to evangelical Christian supporters by handing down an executive order on “religious freedom” that aimed to do two things: To make it easier for faith leaders to preach politics, and to allow employers to claim a religious exemption against providing contraceptive coverage for their employees. Trump made the proclamation alongside representatives of Little Sisters of the Poor, an order of nuns who have been some of the most vocal opponents of Obamacare’s mandate that insurance include birth control coverage?—?taking the fight up all the way up to the Supreme Court. “Your long ordeal will soon be over,” Trump told them when he announced the order. Secretary of Health and Human Services Tom Price immediately issued a statement saying that he’d be happy to take have the opportunity to reshape the requirements on birth control coverage. “We welcome today’s executive order directing the Department of Health and Human Services to reexamine the previous administration’s interpretation of the Affordable Care Act’s preventive services mandate, and commend President Trump for taking a strong stand for religious liberty,” he said in a press relief. Price has long been a vocal critic of the birth control mandate on grounds of religious freedom, and has also been dismissive of its benefit to women. According to a recent survey by polling form PerryUndem, 33 percent of American women said they couldn’t afford to pay any more than a $10 copay for their birth control. Fourteen percent said that if they had to pay for birth control at all, they couldn’t afford it. This article was originally published at ThinkProgress on May 30, 2017. Reprinted with permission. About the Author: Laurel Raymond is a reporter for ThinkProgress. Previously, she worked for Sen. Patrick Leahy (D-VT) and served as a Fulbright scholar at Gaziantep University in southeast Turkey. She holds a B.A. in English and a B.S. in brain and cognitive sciences from the University of Rochester, and is originally from Richmond, Vermont. Is Your Workplace Wellness Plan Worth the Risk? As healthcare costs continue to soar, many employers are using wellness programs as a way to help curb their costs. In addition, employees who enroll in wellness programs also enjoy the program’s great health incentives and rewards, however, unbeknownst to them, the personal information collected may also be used for other undisclosed financial or discriminatory purposes. and published a Notice of Proposed Rulemaking (NPRM) explaining how ADA applies to employer wellness programs that are also apart of group health plans. The NPRM explicitly prohibits employers from requiring employees to participate in a wellness program and also prevents the employer from disciplining or denying health coverage based on refusal. Although other federal laws prevent discrimination, the existing laws only apply to certain wellness programs under certain circumstances and as a result, some employers allow wellness program companies to share and use an employee’s information. Therefore, the proposed rule would not only help align federal laws to cover most wellness plans but would also require confidentiality and provide employees notice on how information is used and collected. In a recent example, Houston city employees who participated in a wellness program were required to disclose their disease history, blood pressure, weight, drug and seat belt use to a wellness company. However, unknown to the employees, the contracted wellness company was also permitted to share the data with “third party vendors acting on [their] behalf.” Although the employees were permitted to refuse or opt out of the screening, they were subject to a $300 a year penalty for medical coverage. Therefore, the employees who “voluntarily” participated in the program in order to avoid the penalty, also unknowingly waived their privacy rights as the information shared could lead to discrimination by employers, lending institutions or even life insurance companies. While wellness programs have positive effects on employees and the workplace in general, these programs should not provide barriers to healthcare benefits or force penalties on those who cannot participate. Instead, these programs should also provide alternatives for employees who have disabilities and should not be implemented as a new way to determine insurance premium rates. Another closely connected issue relates to privacy and the disclosure of employee data. Data companies such as Castlight Health, praised for their ability to help inform smarter decisions, are being hired by employers or wellness program companies to handle and process employees’ data. Whether it is being used, correctly or incorrectly, to identify which employees are likely to get sick, have surgery or get pregnant, these companies are using personal data and third party healthcare apps to monitor an employee’s personal information. However, even more concerning is how unregulated access to big data is. Although some may think that the Health Insurance Portability and Accountability Act (HIPAA) applies, the privacy rule in HIPAA only applies or protects an individual’s identifiable health information held by either a covered entity or business associate. Therefore, depending on how the wellness program is administratively structured and whether the wellness program is offered as part of a group health plan, the identifiable health information may or may not be protected under HIPAA rules. While some employers have structured wellness program incentives to comply with some federal laws, the exceptions in others have made achieving privacy while protecting civil rights difficult. Despite the EEOC’s best efforts to strike a balance between encouraging workplace wellness plans and compliance with federal laws, the “results appear to please no one, as the EEOC’s efforts to ensure only voluntary disclosure of private health information…drew sharp criticism from agency stakeholders.” In addition, despite legislation such as the “Preserving Employee Wellness Programs Act” introduced by Representative John Kline to offer clarity on incentives consistent with the ACA final rule not violating the ADA, the effect of these promulgated rules remains unknown as poorly designed wellness programs continue to have unintended consequences. Although wellness programs offer attractive health and wellness benefits, until the various issues with discrimination, data privacy, and uniformity with all federal laws are addressed, employees may still be at risk of discrimination. Tina Jadhav is an attorney barred in Maryland. Tina is actively involved in health law as a member of the American Health Lawyers Association as well as the American Bar Association-Health Law section. Tina recently earned her Law and Government LL.M. degree from American University Washington College of Law in 2014 and her Juris Doctor degree from Florida Coastal School of Law. 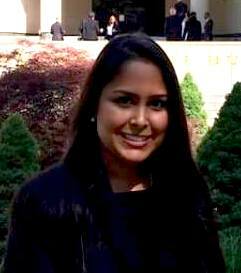 Tina also served as a Health Policy Fellow for U.S. Senator John D. Rockefeller IV, Legal Intern at Inova Health System Office of General Counsel and the Office of the Attorney General for Commonwealth of Virginia. Many employees receive life insurance coverage as part of their employee benefits. A group life insurance has many advantages over private life insurance policies. First, group life insurance coverage is usually offered at low prices and is available not only to employees, but also to their qualified dependents. Second, the employee does not have to keep track of monthly premium payments as the employer withdraws life insurance premiums from the employee’s paycheck and transfers them to the insurer regularly. This protects the employee from a possible missed payment which could result in a policy lapse. Finally, the employer’s human resource department acts as a liaison between the employee and the insurer, so if there are questions or changes, the employee can simply turn to the employer for help. What leads to denied life insurance claims? Ideally, the employee should be given accurate information about his life insurance benefits and any changes in the employee’s status should be handled promptly and efficiently. Unfortunately, it’s not uncommon both for insurance companies and employers to make mistakes regarding life insurance benefits, provide wrong information, fail to update records and fail to maintain or forward documents to the appropriate department. These practices often lead to a denied life insurance claim when the employee or his dependent dies. When a group life insurance claim is denied, the beneficiary may find himself struggling with paying funeral expenses and other financial obligations associated with the death of a loved one. A family who loses the only breadwinner and receives a denial letter from the life insurance company may feel despair. However, beneficiaries whose life insurance claims have been denied are not left without recourse. Every unfair life insurance claim denial can be disputed and appealed. Most group life insurance polices are controlled by ERISA (“The Employee Retirement Income Security Act of 1974”). ERISA provides a wide range of protections for employees and their families. One of the main purposes of ERISA is to protect the interests of participants and beneficiaries by establishing standards of conduct, responsibility, and obligation for fiduciaries (usually employers and insurance companies) and provide for appropriate remedies and ready access to federal courts. ERISA imposes a prudent person fiduciary obligation, which is codified in the requirement that a plan fiduciary exercise his duties with the care, skill, prudence, and diligence under the circumstances then prevailing that a prudent man acting in a like capacity and familiar with such matters would use in the conduct of an enterprise of like character and with like aims. ERISA requires that a fiduciary act for the exclusive purpose of providing benefits to plan beneficiaries. In addition, ERISA entitles employees to free access to all the documents pertaining to their life insurance policies. This means that upon the employee’s request, the employer and/or the insurer must provide a copy of the life insurance policy, proof of premium payments and all relevant documents. There can be many ways in which the insurance company and the employer breach their fiduciary duties. Employer failed to advise an employee that his/her dependent is not considered a qualified dependent under the policy and collected premiums for the dependent coverage. ERISA allows beneficiaries whose claims have been denied to file an administrative appeal and request reconsideration. Since ERISA imposes strict deadlines and other restrictions during the appeal process, we encourage all employees and their families to consult a life insurance attorney before considering filing an administrative appeal. About the Author: The author’s name is Tatiana Kadetskaya. Tatiana Kadetskaya runs a Law Firm devoted to the practice of life insurance law, experienced in all aspects of life insurance law, including ERISA claim denials and claims against insurance companies and employers. Industrial laundry workers, who wash linen for New York’s hotels, hospitals and restaurants, voted overwhelmingly to ratify a new master contract between 14 laundries in the New York Metro area and the Laundry, Distribution and Food Service Joint Board, Workers United/SEIU. The contract includes significant wage gains for laundry workers, a majority of which are African-American women and Latina immigrants. New York Metro area laundry workers will also continue to have free employer paid individual medical, dental and vision insurance and a pension. Laundry workers will be part of one multi-employer contract, which sets the standards for a majority of laundries in the New York Metro area. Elected worker representatives from the laundries bargained the contract with employer representatives for over a month. A strike vote was held at the laundries, but the contract was settled prior to the strike deadline. Workers and the employers were able to come to an agreement and both were satisfied with the contract. The Laundry, Distribution and Food Service Joint Board, Workers United/SEIU represents nearly 70% of all industrial laundry workers in the New York Metro area. In August, laundry workers at JVK Operations in Long Island voted to join the Laundry, Distribution and Food Service Joint Board, Workers United/SEIU and the Joint Board continues to organize the remaining laundries in the New York Metro area in order to bring all laundry workers up to the standards of their membership. This article was originally published on SEIU on December 7, 2012. Reprinted with Permission. About the Author: Service Employees International Union is an organization of 2.1 million members united by the belief in the dignity and worth of workers and the services they provide and dedicated to improving the lives of workers and their families and creating a more just and humane society. This week I was in two accidents in 48 hours. My car got hit in the rear and in the front and probably won’t emerge from the shop for days. And it didn’t ruin my week. Let me tell you why and what this has to do with the workplace. All I needed was one more bit of information to hit the accident trifecta, to find out that she was insured. My hope for humanity was revived when the woman who hit my car did something that hardly anyone does anymore, accept responsibility. A scant 48 hours later I was driving to pick up my kid at school. Suddenly out of nowhere a car flashed across the intersection and I t-boned it. Badly damaged both the front and back passenger side doors. And my bumper was only hanging on by a thread. But this time it was a bit more complicated. She gave me her phone number and insurance information at the scene but it wasn’t the correct phone number. I sweated for an hour and then decided to call her insurance company. They told me that the policy number she did give me was correct and that I could file the report. A friend told me that he saw a study that said that 90% of people change their story after an accident. But thankfully I ran into the 10% of people who tell the truth and accept responsibility. The trouble is that I think far more people are like these women than we realize. People mostly can be trusted to do the right thing, but that doesn’t make for great TV or radio or rap songs or novels. But that doesn’t make it any less true.